This is reposted from The Christian Science Monitor... the quotes are definitely worth reading and thinking about… I could write personal journals using each one as a starting point. 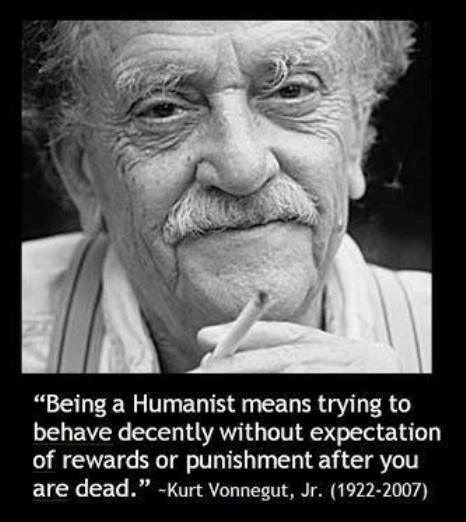 There is also a whole set of posters on Google Images that highlight Vonnegut quotations. So I could use one a day as a screen saver/ keynote for the day. Umm…. Kurt Vonnegut, one of the most influential American writers of the 20th century, was born on November 11, 1922, in Indianapolis. Vonnegut studied chemistry at Cornell University from 1940 to 1943. After graduating from college he enrolled in the US Army and was given the opportunity to study engineering at Carnegie Mellon University. A year later, Vonnegut was sent to Europe and was captured as a prisoner of war by the Germans during the Battle of Bulge. Vonnegut was living as a prisoner in Dresden when the city was bombed. He managed to survive the bombing because he was working in an underground meat locker. “Slaughterhouse-Five,” the novel many people consider to be Vonnegut’s masterpiece, is based on his experiences during the war. After the war, Vonnegut attended the University of Chicago as a graduate student in anthropology. There he submitted his novel “Cat’s Cradle” as his thesis project. 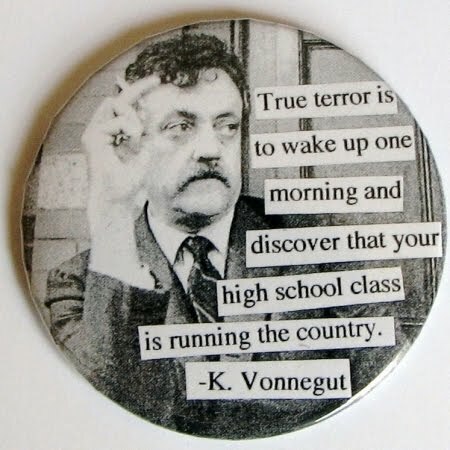 Vonnegut is known for his blend of satire, science fiction, and humor. This entry was posted in Uncategorized and tagged authors, behaviour, books, creativity, family, society. Bookmark the permalink.